To get your erg data on Rowsandall.com, you need to get the data off the erg and into your phone or computer, so that you have a way of connecting to the internet and uploading your data. 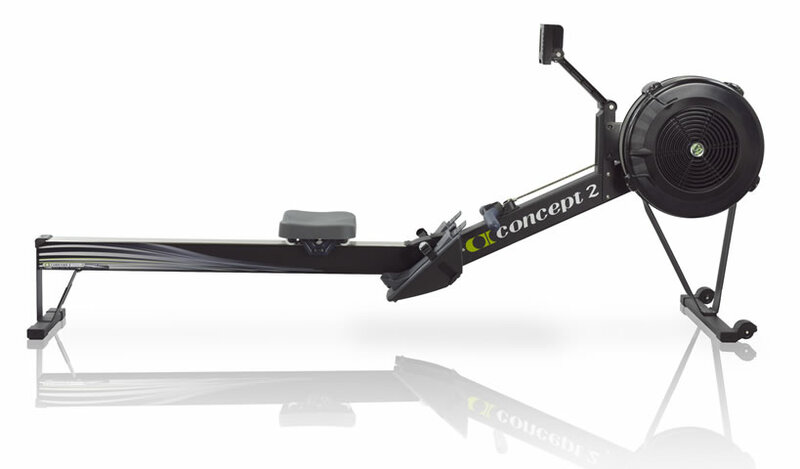 I know there are more erg brands than Concept2, and if there are any users who use other brands and want to use rowsandall.com, just contact me and I can see what we can do for you. For now, this blog post is going to be Concept2 centric. Here are (in random order), the options you have. I just give a short description for each of them. Later, we will publish detailed how-to guides, although most of the things are straightforward. I haven’t tested all these apps personally or purchased their Premium versions. As most of these apps have frequent updates, the information here may not be accurate any more by the time you read it. Feel free to leave a comment for other readers to be aware of the latest info. RowPro is software that runs under Windows and Macintosh on your computer. You connect the PM3, PM4 or PM5 monitor with a standard USB cable. This software is the software of choice if you are into online rowing with others. With this software you can schedule workouts to row online with others, or row offline. RowPro has by far the largest group of online rowers, so there is almost always a scheduled workout you can join. This is great if you get motivated by rowing with others. Programming the workout from your computer is also much more convenient than doing it on the PM5. On your computer screen, you are rowing against your online friends, or against multiple pace boats. RowPro connects to an online logbook on digitalrowing.com and has a local logbook. From your logbook, you can export your workout with stroke data to excel (CSV). You can also export your data to the Concept2 logbook. The data export is limited to the standard parameters (time, distance, SPM, heart rate). The new RowPro version 5 looks good but has some issues. I am sure the issues will be resolved, but I could not save a CSV file when I was offline, so for now it seems safer to stay with v4. Painsled is an iOS (iPhone, iPad) app that does an excellent job at data collection. You can connect to a PM5 using BlueTooth and to PM2, 3, 4 or 5 with a USB connection using the Concept2 iConnectConcept2 cable. With this app, you use the PM to program and execute your workout, and painsled is quietly collecting data in the background. It duplicates the info from the PM and also has a cool stroke force profile view. After your row, you can select workouts and export stroke data to the Concept2 online logbook, to Strava, or email them to yourself (or to rowsandall.com). The big differentiator of this app is the wealth of data that are collected and stored. On iOS, this is the only app that gives you peak and average force, drive length, drive time, drive speed, and a few other parameters. ErgData is a free app for iOS and Android, developed by Concept2. It is compatible with PM3, 4 and 5 and with a PM5 you can connect wirelessly using BlueTooth. For PM3 and 4, you need a special adapter to connect to your phone. A nice feature of ErgData is that it speaks workout data and results, so it is currently the only app for the visually impaired. The app synchronizes the data directly to the Concept2 online logbook, from where you can import the data to Rowsandall.com. As this app is maintained by Concept2, this one is probably the safest bet in terms of integration with the Concept2 online logbook. However, the online logbook API only allows to import the basic parameters (time, distance, heart rate, strokes per minute), so if you like your esoteric parameters, you should look elsewhere. BoatCoach is a free Android app. In terms of parameters captured, it is on par with Painsled. Data export is easy through CSV files. In the app, you can set your email address, and data are automatically emailed to your email account. From there, you can manually upload data to rowsandall.com or send them per email. The data export in BoatCoach is a Premium feature (paid upgrade). The BoatCoach app also allows erging with friends, using nothing more than your Android phones. You can program workouts from your phone, and do basic data visualization in the app. ErgStick is a hardware addon to the PM3 or PM4 monitor to enable wireless data transfer to your phone. The Float app (formerly ErgStick) also connects wirelessly to PM5 monitors. With the paid upgrade (data pack), you can email your data to yourself. The CSV file can be uploaded to Rowsandall.com. The data are limited to the standard parameters (SPM, heart rate, time, distance). The cool thing about ErgStick is that you add wireless connectivity to any PM, including the one in the gym, at the rowing club, or in the hotel gym. That depends entirely on your needs. What prevents you from trying out a few and then deciding what is best for you?